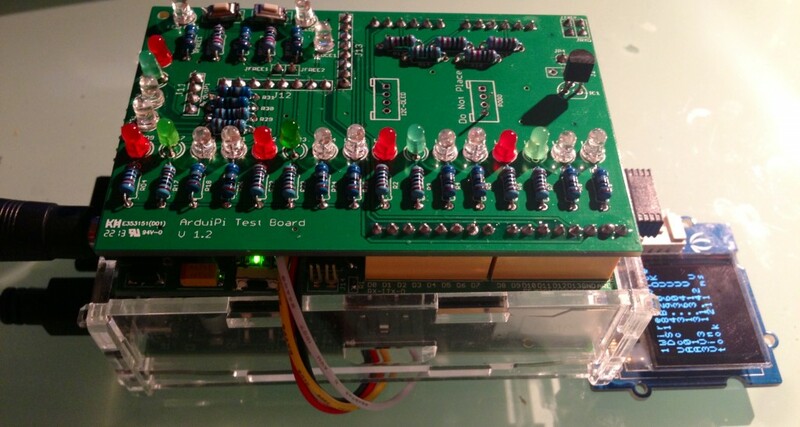 This is the ArduiPi test board that will be used to validate the ArduiPi boards after production. Here are some pictures, I was missing led, so I used some old ones. This is not “very clean” because some did not fit on holes, but it is working fine so far. 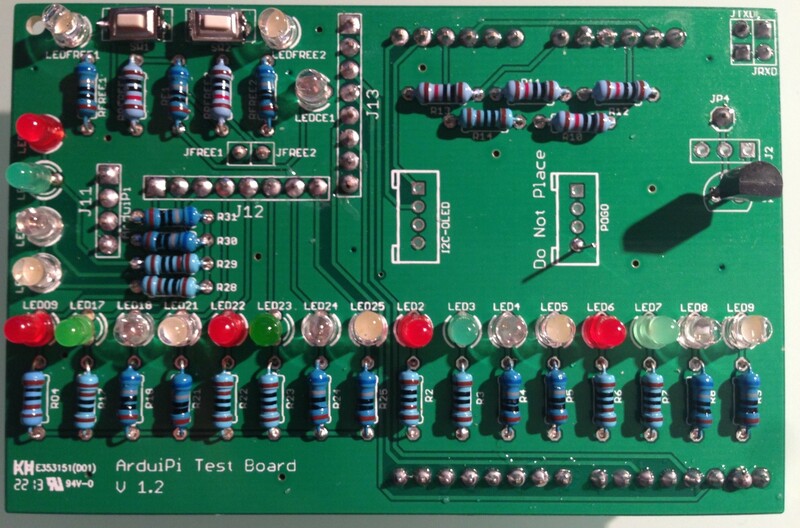 Here is the test board, with led visualisation, switch and temperature sensor DS18B20. The backside of the board, to fit just in place of ArduiPi board. For this board this will be straight connectors because on my Proto ArduiPi I soldered connectors. 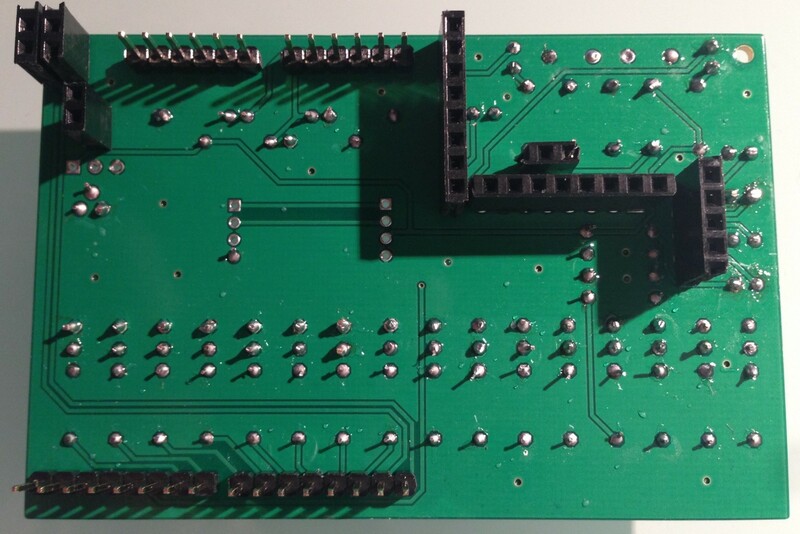 But for final production as on ArduiPi it will be pads, this tes board will be fitted with Pogo Pins. 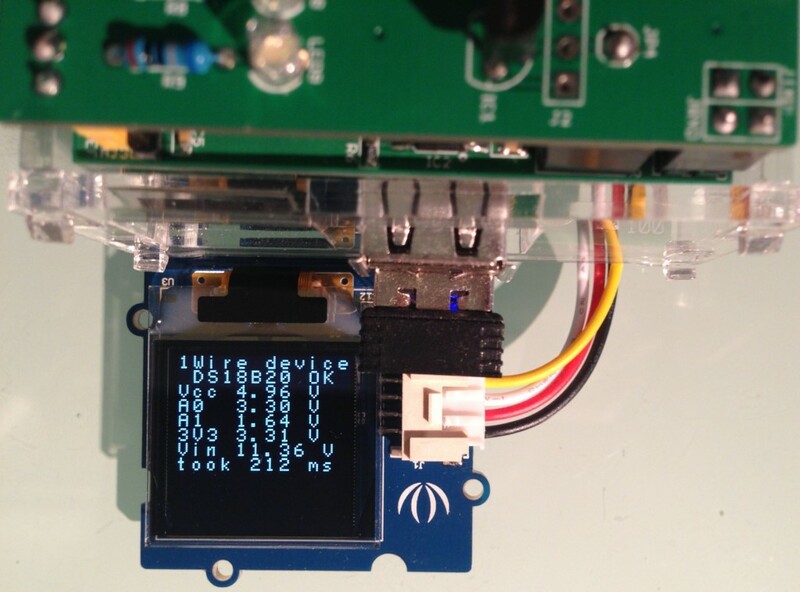 And the detailed display, indicated voltage read on analog pin and DS18B20 temperature sensor detected onto i2c to 1-Wire DS2482 controller.